Promotion of Clean Energy Financing in West Africa. On December 12th, 2012, The ECOWAS Center for Renewable Energy and Energy Efficiency (ECREEE) and Nexant, Inc., implementing Regional Clean Energy Investment Initiative (RCEII), a United States Agency for International Development (USAID) program, signed a Memorandum of Cooperation (MOC) for the Promotion of Clean Energy Financing in West Africa. Read more about Promotion of Clean Energy Financing in West Africa. The Renewable Energy Academy of West Africa has concluded plans to train 1000 Nigerians in Renewable Energy application and entrepreneurship by 2012 in support of the much needed infrastructural development and youth employment in the region. The Validation Workshop of the GEF/UNIDO project named “Promoting Market Based Development of Small to Medium Scale Renewable Energy Systems in Cape Verde” took place with the presence of approximately 57 participants from 30 organisations. The project was developed by UNIDO in cooperation with the Ministry of Tourism, Industry and Energy (MTIE) in Cape Verde and the ECREEE Secretariat. The Instituto Tecnológico de Canarias (ITC), represented by the Chief Executive Officer, Juan Ruiz Azola and the ECOWAS Regional Centre for Renewable Energy and Energy Efficiency ECREEE, represented by the Executive Director Mr. Mahama Kappiah, signed a Memorandum of Understanding by which they formalize aseries of joint actions between the two institutions in the field of renewable energy and water technologies. The ECOWAS Regional Centre for Renewable Energy and Energy Efficiency (ECREEE) and the Technology Energy Centre (TEC) of Kwame Nkrumah University of Science and Technology (KNUST) in cooperation with the United Nations Industrial Development Organization (UNIDO) organized a regional training workshop on energy access planning and financial analysis of renewable energy and energy efficiency projects. The workshop was held from 22 to 26 August 2011 in Kumasi, Ghana and was attended by 45 professionals from energy ministries and universities of all fifteen ECOWAS countries. The Regional Workshop on “Accelerating Universal Energy Access Through the Use of Renewable Energy and Energy Efficiency” from 24 to 26 October 2011, at Mensvic Hotel, Accra, Ghana. The workshop was jointly organized by the ECOWAS Regional Centre for Renewable Energy and Energy Efficiency (ECREEE), the United Nations Development Programme (UNDP) and the Government of Ghana. The ECOWAS Regional Centre for Renewable Energy and Energy Efficiency (ECREEE) and the United Nations Development Program (UNDP) – Regional Environment Project organized a Study Tour On Renewable Energy in Spain From 14 To 18 November, 2011. The activity was hosted in Spain by the Spanish Agency of International Cooperation for Development (AECID), the Center for energy-Related, Environmental and Technological Research (CIEMAT) and the Technological Institute of Canary Islands (ITC). 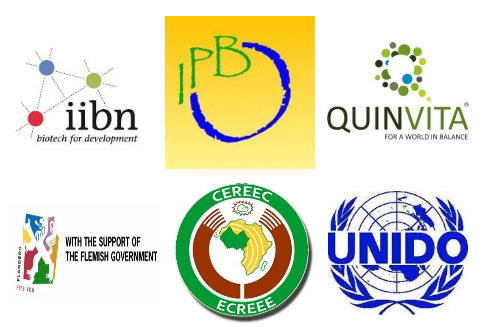 Read more about ECREEE, UNIDO, IIBN and QUINVITA launch a major strategic study on the potential for sustainable production of novel bio‐energy crops in West Africa.